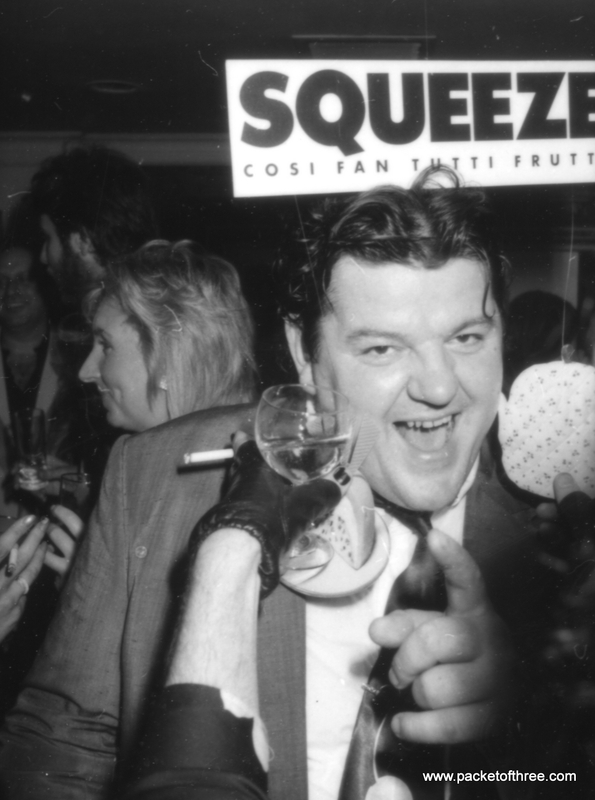 7 Responses to "Mystery Squeeze Photo #25"
I was thinking either Robbie just turned up at a show or they met on Friday Night Live, that programme hosted by Ben Elton, Robbie was involved in that scene. That is ’84-’85 Glenn hair, on someone else’s face, that does not look like Glenn! 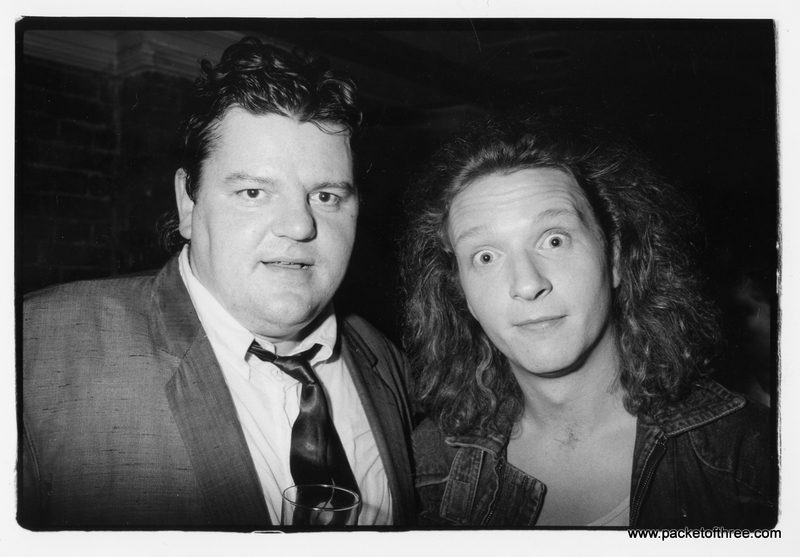 Robbie Coltrane, Glenn backstage at Hammersmith Odeon, 1985, Cosi tour.